You will be saying "Wie hiest du?" und "Guten Morgen!" 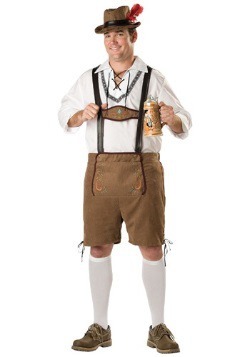 when you get one of our fun German costumes. 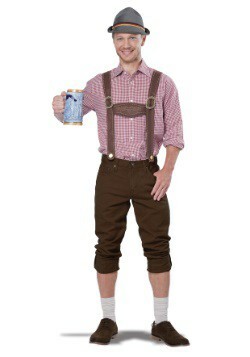 You don't have to speak the language but you can practice your best accent or favorite German greetings when you choose one of these great costumes for Oktoberfest or Halloween. 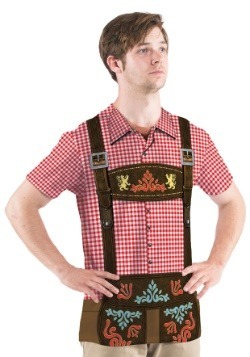 So you’re thinking about throwing on a pair of Lederhosen or a Dirndl? Ach du lieber! This list is going to be as fun as a polka party in the Bavarian Alps! 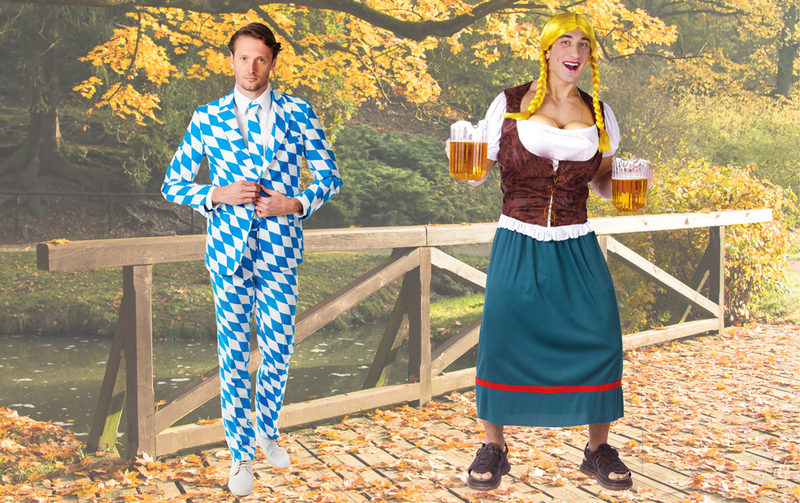 Whether you’re heading out to an Oktoberfest party, you’re putting together an Alpine-oriented Halloween group costume, or you simply want an outfit to inspire you as you try to learn how to play a tune on the accordion, we have plenty of German costumes to inspire you. German culture is well known for a lot of things. For instance, they were the first people to pair a perfectly-flavored sausage and zesty sauerkraut. The thought of one of those hot and greasy dogs is enough to send us into a day dream for the better part of an afternoon. So it’s no wonder that there are festivals around the world for celebrating music, food, and drink. Oktoberfest is only the beginning. 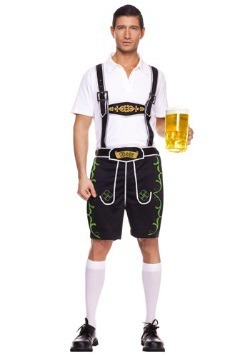 From the German Carnival season, Fasching, to the festive tradition of the outdoor winter festival called Christmas Market, there are opportunities to throw on that German lederhosen costume all year round! Whether you’re there for the beer, the wiener schnitzel, or the polka, Oktoberfest has something for everyone. This festival has plenty of exciting traditions from traditional polka bands to popular modern music acts. If you’re having your own Oktoberfest party, the games you can play are a blast! From Alphorn Karaoke to Pretzel making, there’s something for everyone. 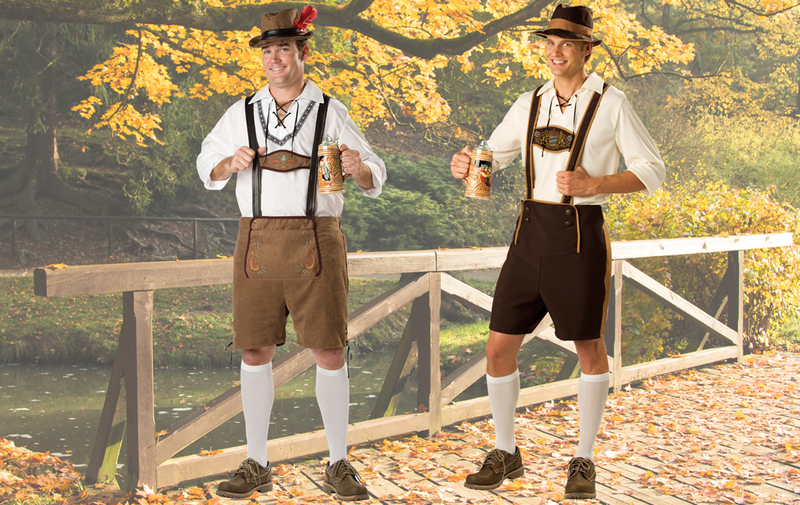 When you’re rocking these costumes, you don’t have to worry about your apron coming loose as you compete in a beer barrel race. Just throw your braids back, finish your Pilsner, and jump in! Oktoberfest is about celebrating traditional German culture. One of the most important parts of this is the distinctive German look. 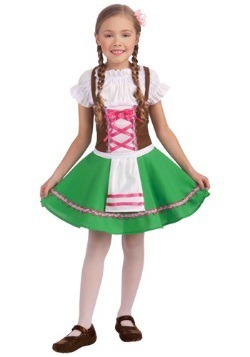 This dress features all the aspects of an Oktoberfest costume. It has a turquoise braiding around the dirndl neckline, and ruffled off-shoulder blouse, and a full knee-length skirt with a red apron. 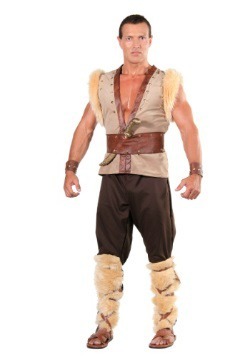 Anyone wearing this outfit is sure to get into character instantly. Play your cards right and you might even win a yodeling contest! In early September and October, the weather can be pretty hot! 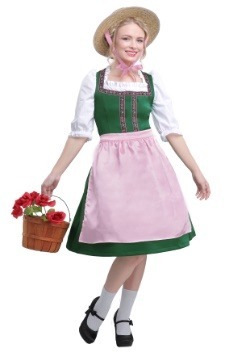 Not everyone wants to wear a full dress with a dirndl, full skirt, and petticoat. In this t-shirt, you can still remain in the spirit, even in eighty-degree heat! Plait your hair, don this shirt, and do some stretching. 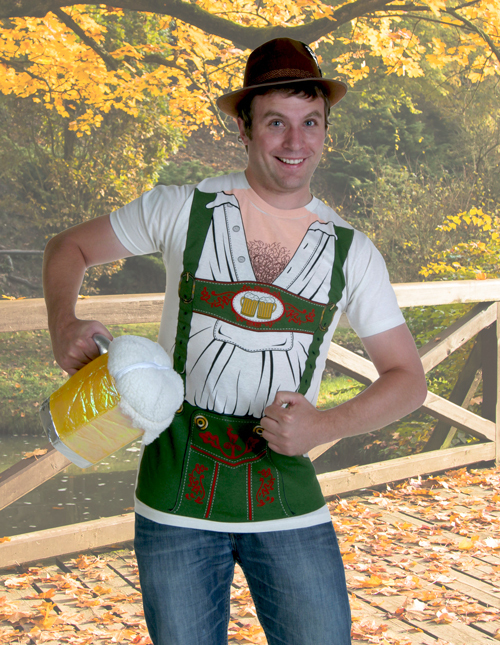 Oktoberfest is a day full of drinking, dancing, and plenty of bratwurst eating, you’ve got to be ready! As the German’s say, “Nicht lange schnacken, Knopf in Nacken” or “Stop talking and start drinking”. No wonder the word for hangover in German translates to Tom Cat! 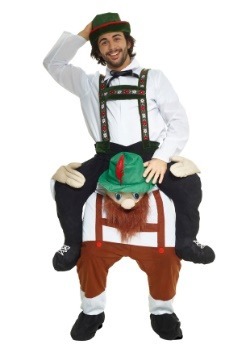 Speaking of eighty-degree heat, a traditional German lederhosen costume can be intensely heavy. The name, after all, means leather pants. 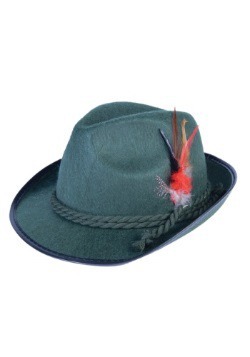 Coming from Bavaria, these ensembles are made from suede leather so they can be a bit much in late summer weather. You’ll be both comfortable and traditional in this t-shirt. And if you’re traveling to the festivities, rolling up this t-shirt in your suitcase won’t take up much room. You won’t have to sacrifice your festive look and you can still pack a second pair of jeans with a forgiving waistband to wear after over indulging in sausage and ale. If you’re fresh out of deer hide and you don’t have you very own tailor then you probably would have a hard time getting a traditional pair of Lederhosen. 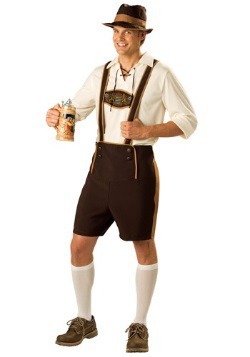 In the Bavarian region, when men buy a traditional German lederhosen costume, they expect to keep it around their whole life. They are often even passed down to the next generation. That’s a lot of commitment. 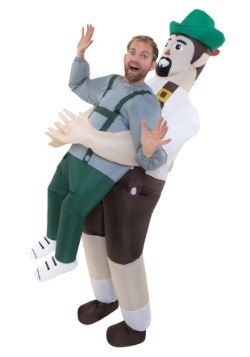 This pair of lederhosen is still high quality but we won’t expect you to pass it on to your future children. Though, we wouldn’t blame you. The costume has plenty of detail with the German shield on the chest, light brown piping along the sides, and buttons on the flap. And for all you vegetarians out there, there’s no deer hide involved. 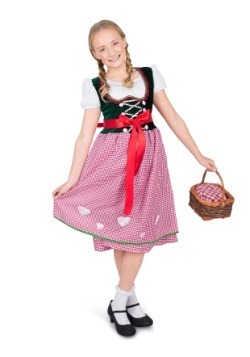 There are a lot of traditional costumes throughout the German-speaking regions of Europe. In some areas, traditional wear can change from village to village, not to mention the fancy gals from the Swiss Alps compared to the ladies of Vienna. 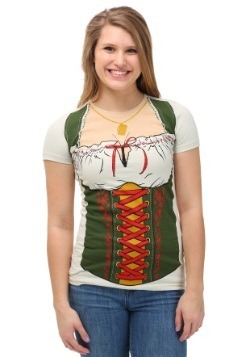 You’re probably not going to become an expert just from researching Oktoberfest clothing. 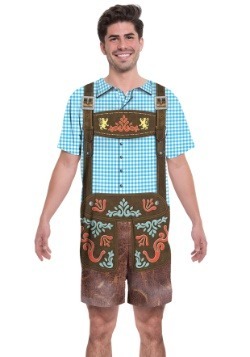 So, you’d might as well embrace the standard dirndl and lederhosen that we all know and love. 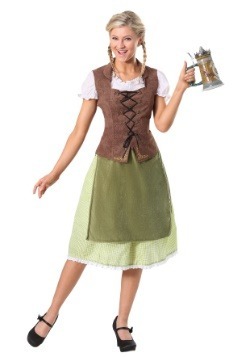 After all, the German beer girl look is pretty straight forward and any dreams of wooden clogs will come to fruition with time. Germans have been brewing beer for thousands of years. So yeah, they take their brewskis pretty seriously. Monks even used to have a charity that gave out free beer. (Umm, where is that program now?) Yeah, you’re right, we should probably just be grateful that we no longer have to deal with an annual winter-long famine. But still, free beer always seems to have the best flavor. It’s no wonder that the German beer girl is still revered today. Those ladies were the ones who brought out the ale that was the life-saving refreshment of the long German winters. While beer back then was framed in by brewski purity laws, these days you’ll find all sorts of brews at the world-wide beer festivals that have spread joy where ever an empty beer stein can be found. 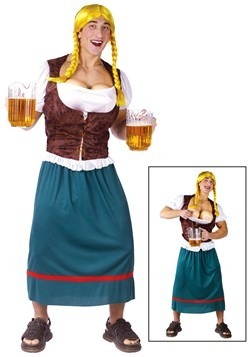 Whether you like your glass liter of beer to be filled with the traditional barley and hops or you want one of those delicious, cold grapefruit Raddlers, we’re sure you’ll find the perfect beer girl costume in our wide variety on ensembles! 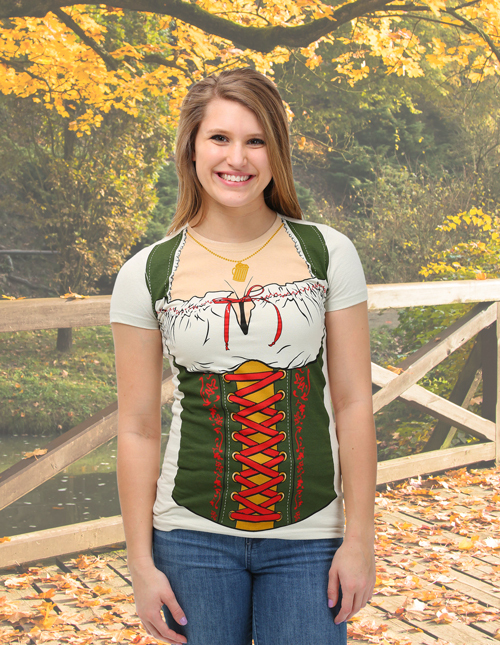 And while the beer might not be free, we always think that looking like an Alpine maiden makes any refreshment more memorable. Okay, this might be controversial but we believe that Oktoberfest isn’t only about downing Pilsners! A good Oktoberfest should include games, music, and dancing! You can try your hand at Hammerschlagen, Stein races, and of course mad polka dancing sessions! While dirndls and skirts are cute, we wanted to highlight the adorable Lederhosen as an option for women this Oktoberfest. Keep colorful or stick to traditional colors with a black, flower embroidered pair of traditional overalls. You’ll be able to truly conquer complicated Polka moves in these festively decorated shorts! 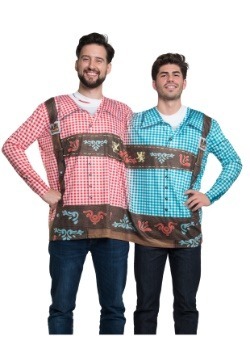 With one million people showing up on the first weekend of the Munich Oktoberfest along, you can imagine that there are a variety of options when it comes to finding beer costumes. Any of these costumes are sure to proudly represent the sudsy celebrations. Maybe you’re keeping it classy in a stunning suit or maybe you throwing off society’s conventions and running a little wild. 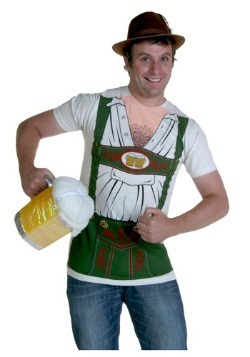 No matter which keg you’re drinking from, you’re sure to find a German costume that will suit your fancy! 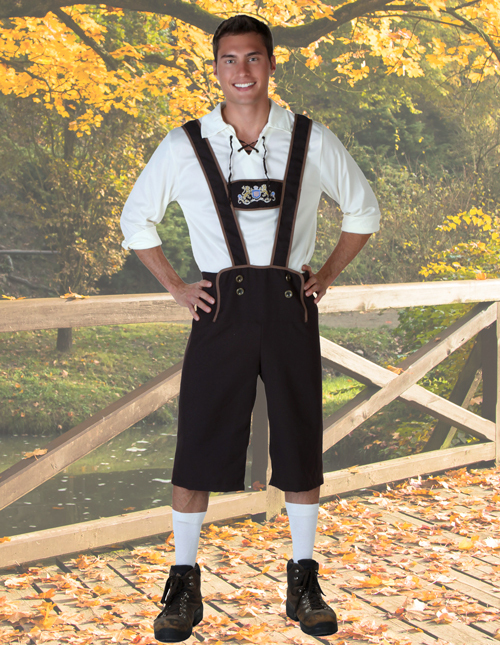 While Lederhosen might be considered dressy festival wear days, they were invented as a necessity by peasants who worked long, hard hours every day because these leather overalls were tougher then any of the other materials available back then. 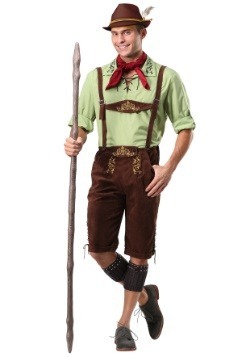 Yep, lederhosen were for farmers and field hands! 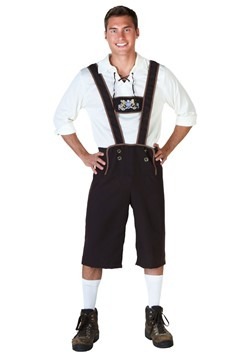 Not anymore, these days lederhosen are literal fancy pants. You can choose your pick from our awesome collection. You might like the traditional light brown for a more casual, country look. 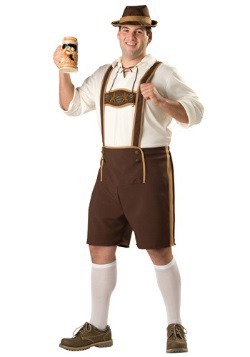 Or maybe you’re more partial to a fancier, more detailed pair of lederhosen, refined enough for the tapping of the first keg. We won’t even make you thresh any fields! They say variety is the spice of life. We totally agree with whoever “they” are. 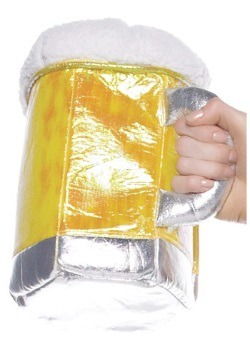 When you dream up images of beer festivals in your mind, the outfits people are wearing might be pretty uniform. 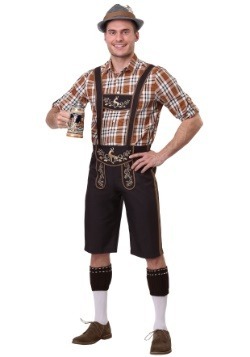 There are dirndls and lederhosen and maybe a few t-shirt and alpine hat wearing tourists that are wandering around wondering where to get beer tickets. But you’re far from limited to standard festival wardrobing. 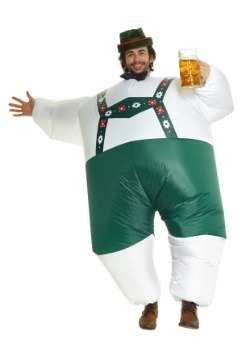 Let things get crazy with the Beer Maid costume or get classy with a Smoke Beer of Bamberg in this fresh Bavarian suit. There are many different German Festivals that are a lot of fun for kiddos! At the famous Munich Oktoberfest there is a day for families every week. Every Tuesday kids get cheap prices on rides throughout the extensive grounds. Sounds good to us! 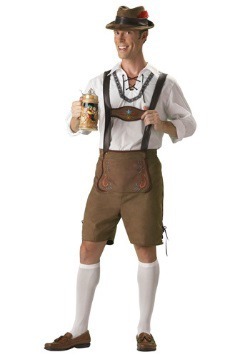 But reasons to look for German costume ideas don’t end with the autumn festivities. Throughout different countries there are Bach festivals, Polka festivals, May Day, and Weihnachtmarkts (or the Christmas Market). There are many places outside of Europe that celebrate their German heritage. Those places have large buildings in the Bavarian style, endless festivals with delicious looking fare, and loud live music that people dance to in traditional garb. 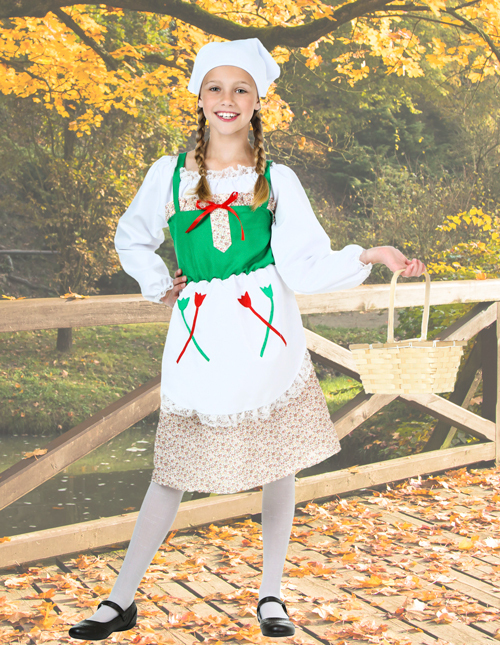 Your child is sure to love wearing colorful, traditional costume while they take in the sites, tastes, and sounds of whatever festivities you might be celebrating. Maybe show them a couple Polka steps ahead of time, just so they know what to do in case they become inspired by the upbeat spirit of the tuba. This cheerful dress has the quintessential traditional look. 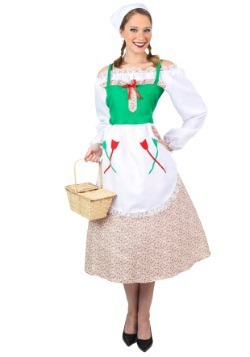 The blouse underneath the dirndl is a bright white and is bordered with lace for an old-fashioned look. The brightly-colored bodice is perfect for skipping around the May pole or throwing flowers in a May Day parade. The top has a border of flowers around a grass green top. 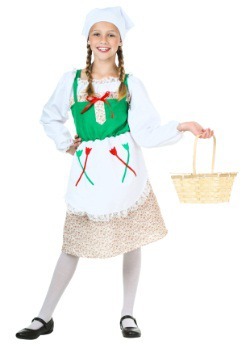 The white apron is accented with red and green tulips for a bright and sunny look. 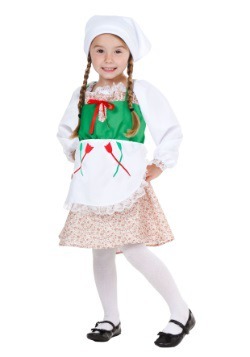 You’ll even get a handkerchief to tie over your little one’s braids. 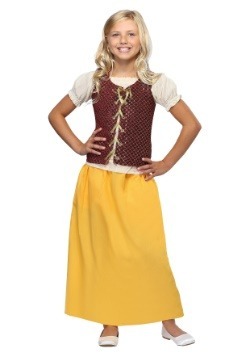 Paired with an armful of flowers, this costume is sure to be Instagram gold. It’s about time May Day made a comeback. After all, who doesn’t love spring? 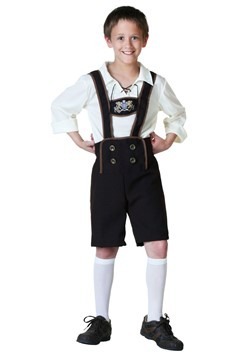 If you are taking the whole family for brats, pretzels with sides of mustard and sauerkraut at Oktoberfest then this sweet costume is the perfect costume to hook your child in for life. 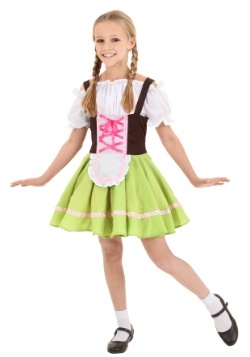 It’s picturesque with a brown dirndl with pink ribbons, and a fresh green skirt. The adorably tiny apron matches the blousy top. We have sizes for all ages of kids so each member of the family can be completely in the festival spirit. Next thing you know your kids might just be asking for schnitzel for dinner. Who knew costumes could turn into such a flavorful venture? 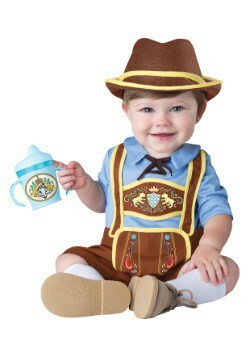 It’s never too early to put your child in their first lederhosen outfit. 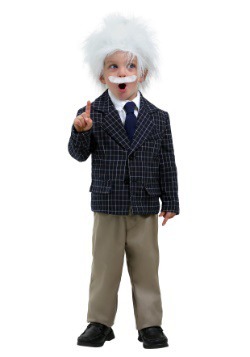 While you might want to wait until your child is fully grown before hiring a tailor to bequeath your child a real pair, this costume will make a great place holder in the meantime. 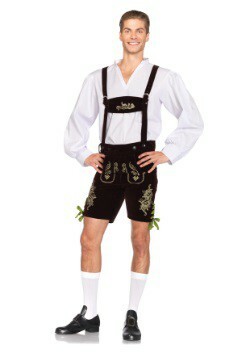 Maybe he’ll get into the silly looking German folk dance, Schuhplatter, it’s a literally a real knee slapper. 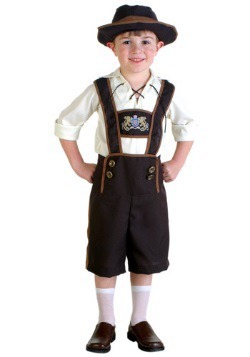 Even if your child’s interest only extends to the bratwurst and decadent German cream puffs, he’s sure to look great at your local German festival in these adorable lederhosen costume. 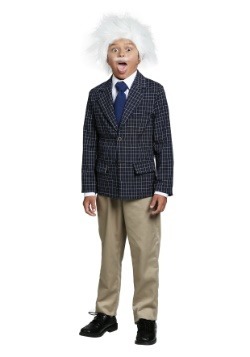 Your kiddo will look timeless in these brown short pants. He’ll have a white shirt with a wide collar under the brown straps that are detailed with the German shield. 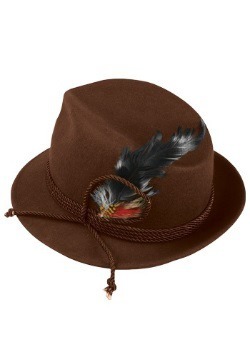 The whole ensemble is topped with the Alpine hat. Top this whole look off with knee high socks and dark shoes for a timeless look. 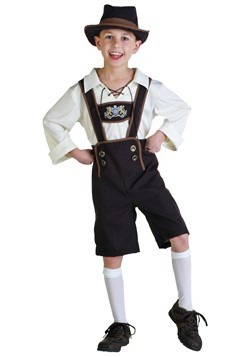 We were very serious when we said that it’s never too early for a child’s first lederhosen! The love of a tart and crunchy sauerkraut starts early, integrate some in baby food and watch the lifelong interest begin. That, or your child will be scarred away from sauerkraut forever. Hmm, okay. Maybe you should let the applesauce alone, just stick to the costume, and let the fermented cabbage fall where it may. 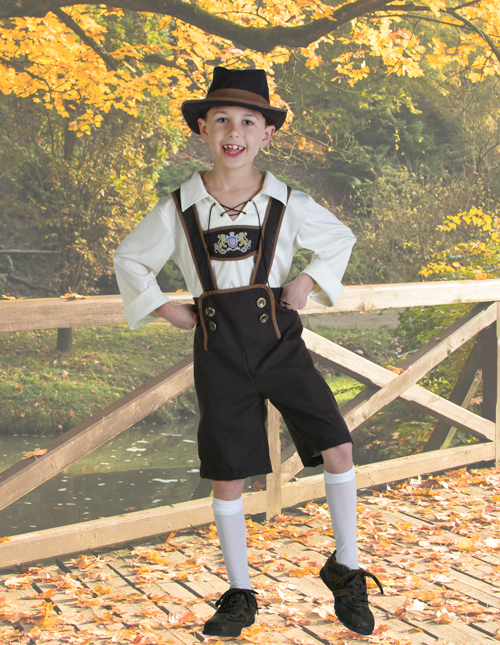 This adorable costume is colorful with a bright blue shirt, yellow piping along the brown fabric lederhosen, and a cartoon version of the German shield on the chest. 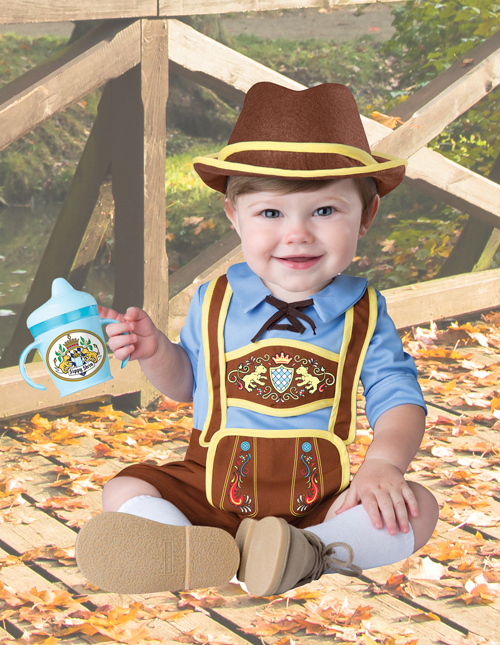 You’ll even get a stein sticker for your babies’ sippy cup or bottle! The look is topped off with a yellow trimmed alpine hat because there’s no reason to go half way when it’s baby’s first Oktoberfest. And here’s the thing, if your child happens to have a meltdown in the beer tent, he’s sure to get an honorable mention in the yodeling contest!